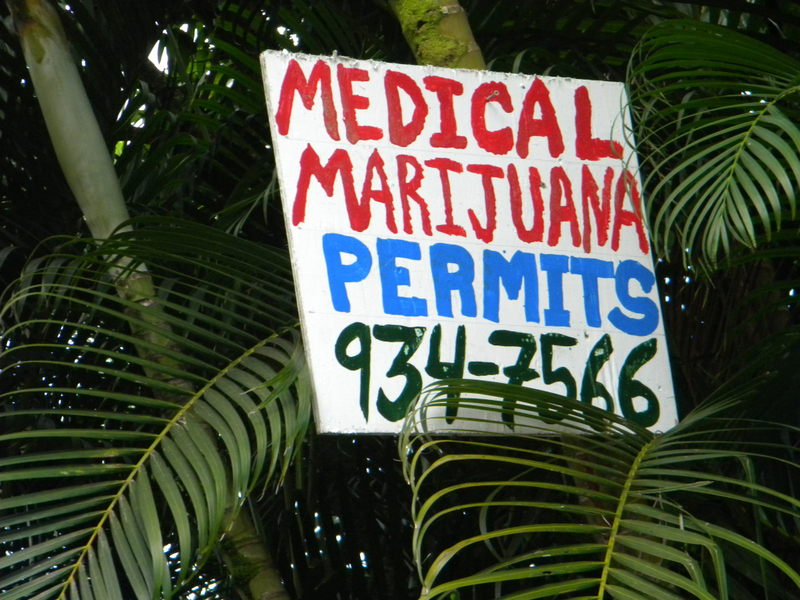 Isle pot industry braces for crackdown. 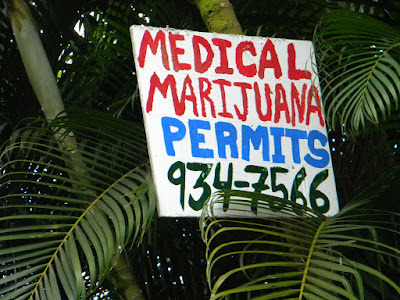 Hawaii’s fledgling medical marijuana industry was dealt a blow Thursday with the Trump administration rescinding a policy that kept federal authorities from prosecuting people for legal pot sales. Star-Advertiser. Federal Anti-Pot Move Derided As A ‘Reckless Prohibition-Style Decision’. Hawaii leaders oppose stronger federal enforcement. But one cannabis advocate sees a possible “silver lining". Civil Beat. Lawmakers, dispensary chief react to decision to rescind Obama-era marijuana policy. A Big Island lawmaker says Hawaii should legalize recreational marijuana even if the Trump administration clamps down on sales in states that already took that step. Tribune-Herald. Non-Interference Policy on Marijuana Reversed. The Department of Justice today issued a memo on federal marijuana enforcement policy announcing “a return to the rule of law and the rescission of previous guidance documents". Maui Now. Gabbard looking to remove marijuana from federal controlled substances list. Rep. Tulsi Gabbard denounced the decision of U.S. Attorney General Jeff Sessions to rescind the Obama-era, non-interference policy and target states that have legalized medical or recreational marijuana use. KITV. Chin should resign to run, Hanabusa says. U.S. Rep. Colleen Hana­busa says Attorney General Douglas Chin should resign from his job as the state’s top law enforcement officer to make his run for Congress, and Gov. David Ige on Thursday said he expects Chin will resign if that would be “in the best interest of the people of Hawaii.” Star-Advertiser. The state needs 500 volunteers for their annual homeless count – and have only 50 so far. Every year, during the last week of January, volunteers canvas the state to get a tally of how many homeless people are living in Hawaii. Hawaii News Now. 2018 kicks off with the highest gas prices Hawaii has seen since 2014. Experts said the price at the pump will continue to go up. KHON2. Hawaii timeshare properties had higher occupancy than hotels during the third quarter. Hawaii timeshare properties were 90.1 percent occupied during the third quarter of 2017, nearly 9 percentage points more than hotel properties, according to a report released Thursday by the Hawaii Tourism Authority. Pacific Business News. Timeshare properties in Hawaii continued to demonstrate their importance to the state’s lodging portfolio in the third quarter of 2017, averaging a 90.1% occupancy rate statewide. By comparison, hotel properties averaged an 81.4% occupancy rate for the quarter. Maui Now. New commander takes the reins at Schofield as Pacific tensions flare. About 5,000 Schofield Barracks soldiers stood at attention Thursday on Weyand Field as Maj. Gen. Ronald P. Clark took over command of the 25th Infantry Division from Maj. Gen. Christopher Cavoli. Star-Advertiser. Conspiracy charge is brought in fraud case against Kealoha. A man who federal prosecutors say had his and his sister’s trust fund money stolen by Deputy Prosecutor Katherine Kealoha was scheduled to admit in U.S. District Court this morning that he helped Kealoha cover up the theft and lied when he told a grand jury that Kealoha did not rip him off. Star-Advertiser. New charges brought in Honolulu corruption case. The deputy city prosecutor wife of a Honolulu police chief convinced a man whose trust she allegedly stole from when he was a child to lie for her before a grand jury looking into corruption allegations against the couple, according to court documents filed Wednesday. Associated Press. Board of Water Supply looks to raise rates to replace aging water mains. Another possible rate hike is in the works, this time from the Board of Water Supply. KHON2. Justice Coalition Urges Alternative to New Jail. A proposal to replace the aging Oahu Community Correctional Center by building a new jail has been on the table since last fall. Hawaii Public Radio. Concerns raised over whether new Waikiki Denny's should serve alcohol. A new Denny's restaurant is nearing completion on what was a vacant corner at the Diamond Head end of Kuhio Avenue. Hawaii News Now. SBA offers $600K in Marco Polo assistance loans. The U.S. Small Business Administration’s Hawaii District Office has approved more than $600,000 in federal disaster loans for Hawaii businesses and residents affected by the Marco Polo fire in Honolulu that occurred July 14. Star-Advertiser. Spotted: Elusive wallaby makes rare appearance in Moanalua. Wallabies, which are native to Australia, are actually believed to exist in Kalihi Valley. In 1916, three of the animals escaped into the area and bred after they were shipped to Hawaii and delivered to a private zoo nearby. Hawaii News Now. Hele-On routes expanding with new grant. Hilo-Kona bus routes will be expanded, as well as routes in Hawaiian Paradise Park and elsewhere in Puna, thanks to a larger-than-anticipated federal grant. West Hawaii Today. Andy Levin, Mayor’s Lobbyist, Before Council. The Hawaii County Council's Governmental Relations and Economic Development Committee had the chance to question the administration's legislative assistant on Wednesday. Big Island Video News. North Kona approaches full year under mandatory water usage reduction. West Hawaii Today. Feral donkeys in West Hawaii seeking good homes. After once numbering in the hundreds, the feral donkey population in West Hawaii now hovers at about 30, thanks to successful adoption drives during the past few years, according to a rancher who looks after them. Tribune-Herald. Wheelchair-Friendly Mauna Loa Lookout Opens. The Mauna Loa Lookout shelter was reconstructed and repaved, and a new accessible vault toilet was installed, park officials say. Big Island Video News. Maui lawmaker denounces 'privatization of the public beaches' at Kaanapali. Photos taken Wednesday morning, fronting the Kaanapali Alii resort on Maui, show empty cabanas lining the sandy beach between the hotel and the Pacific Ocean. Hawaii News Now. McKelvey wants resorts cited for ‘reserved’ beach space. Unused cabanas, chairs and umbrellas are crowding out public access to residents. Maui News. Staffing woes hinder­ movement on water meter list. A shortage of engineers, difficulty recruiting and a lack of affordable housing are some of the reasons the county Department of Water Supply is struggling to fill staffing positions to help tackle the Upcountry water meter list, the department said Wednesday. Maui News. Kauai mayor's holiday gift of paid leave for county workers draws criticism from council chair. A decision by Kauai's mayor to offer all full-time county employees two paid days off during the holidays is drawing major criticism from some council members. Hawaii News Now. Kauai War Memorial Convention Hall closed. The community stage isn’t scheduled to reopen until June 30 due to an asbestos removal project. Garden Island. Families facing underage drug and alcohol abuse issues will soon have the option to seek treatment on island, instead of having to send loved ones elsewhere. A Thursday groundbreaking for the roughly 15,000-square-foot Adolescent Treatment and Healing Center on the north end of Maalo Road was attended by about 100 people. Garden Island.